Have you ever thought about quitting your day job? Well, that’s exactly what Barry Anderson did! Meet Barry Anderson, AFL Indonesia’s Development Director and AFL Asia’s newly-appointed Auskick & Junior Development Officer, who walked away from a six figure salary in a State Manager’s role to uprooting his family and taking up a volunteering role with the Scope Global volunteering organization and the hosting Jakarta Bintangs Australian Football Club. Barry was disenchanted with his work life often feeling like something was missing and not quite right, so he quit his job to follow his 3 big passions in life – Travel, Footy and Volunteering. Barry’s passion for volunteering started like many Australians through sport, which included a stint as the President of the Redcliffe Football Club in Queensland, however it’s his compassion to help others in the community and often those less fortunate that has been his drive behind his volunteering work. Barry volunteered to help feed the homeless through the Breakfast Club organisation for 4 years, which included preparing meals from 6:00am in the morning. During his volunteering stint with the Breakfast Club he also had open heart surgery with his doctor telling him that he would have an 8 week recovery period before regaining a full bill of health. The daunting ‘8 week recovery’ verdict didn’t sit well with Barry, so he also volunteered his time at the same hospital providing mentoring support for others facing the same unknown predicament of where life might take them post-surgery. 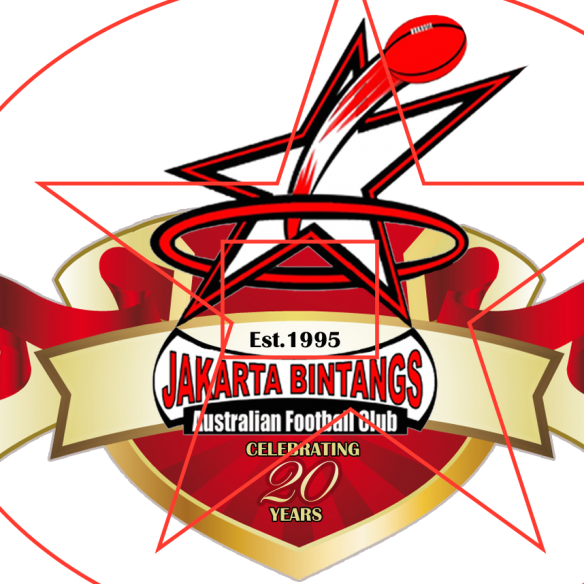 It wasn’t long before AFL Indonesia Chairman and Jakarta Bintangs President Paul Halliday saw Barry’s worth and experience and he was soon appointed as the Indonesia Garuda’s Co-Coach along with Local Leader Booy Pasaribu, in preparation for the 2017 AFL International Cup (AFL IC17). 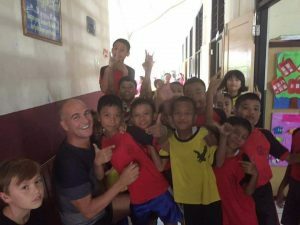 Barry’s first coaching assignment came only a month after arriving in Jakarta, which saw him in charge of the Indonesia Garudas at the All Asia Cup, the day before the AFL Asia 2016 Asian Championships, held in Ho Chi Minh, Vietnam. Barry’s knowledge of his players was limited, but even further extenuated by the fact he only got to meet his Balikpapan-based players for the first time the morning of their first game of the All Asia Cup. 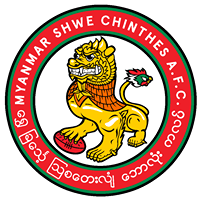 Barry’s passion, energy and drive to see his players succeed was on display as his troops took out the All Asia Cup defeating Indochina and China in a fantastic display of free-flowing and spirited footy. Not long after his first triumph as coach, Barry received the impressive accolade as the AFL International Coach of the Year Award, as awarded from the World Footy News AFL International Team of the Year. 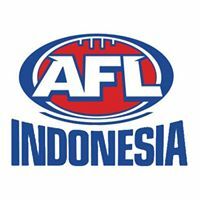 The next big task for Barry, Booy and the Indonesia Garudas was preparing for the AFL IC17, which was to be only the second time the Garudas had attended the AFL IC since it was introduced back in 2002. 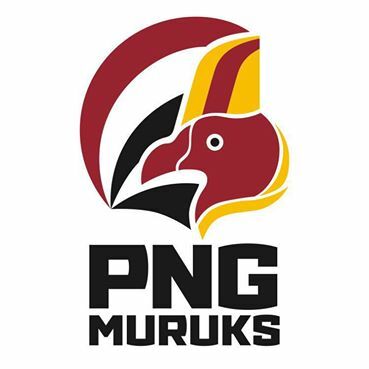 The Indonesia Garuda’s battled away manfully and although they won 2 games and lost 3, their results didn’t really indicate their successful campaign. 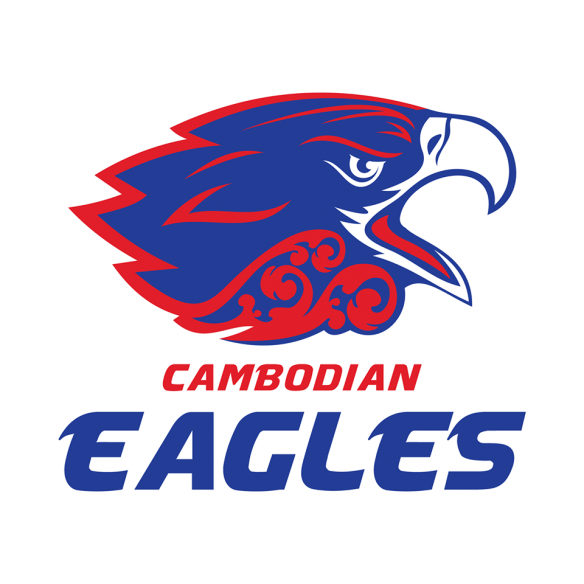 The Garuda’s defeated the India Bombers and Sri Lanka Lions, whilst going down to the China Dragons and eventual Division 2 champions the Croatia Knights. Barry’s only disappointment came in their play-off game against the Sri Lanka Lions, who they had previously defeated in their group matches. In blustery conditions, the Garuda’s had 18 scoring shots to only 9 as the Sri Lankan boys ripped the heart of them kicking 2 late goals to steal an unlikely victory. 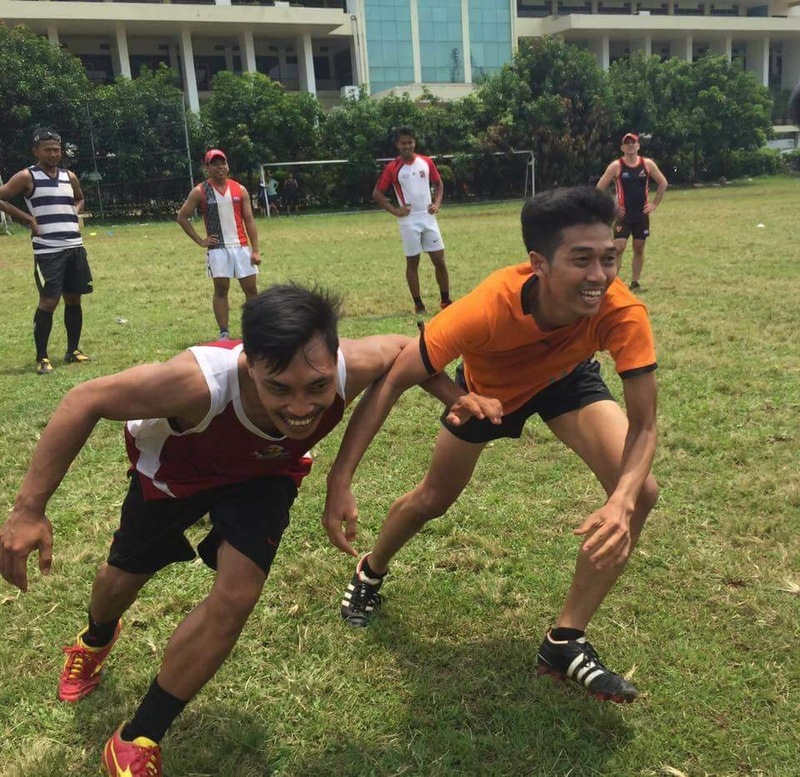 Another positive note, was seeing the Indonesia Garudas double their wins column after only one win at the AFL IC14. Barry’s halfway through his second year of his volunteering football crusade and is looking at taking his players to another level in 2018. “The first year here I focused on getting to know the players abilities, culture and language, however in the second year I’m looking to improve the player’s skills to a higher level and introducing more of a game plan” Barry said. It always hasn’t been smooth sailing for Barry and his family as every 3 months they need to go to Singapore and renew their Visas. The frightening fact for Barry and his family is that they have to hand their passports to an unknown man and told to return to the same meeting place later in the afternoon. It’s a far cry from the comfort his family was used to back in Australia, but the anxious experience every 3 months has become a part of his experience of living abroad. 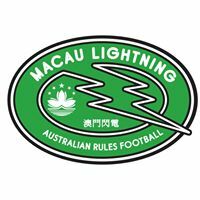 Barry’s other disappointment was arriving in Shanghai Airport last year to coach the AFL Asia Lions in the curtain closer clash after the Port Adelaide Power and Gold Coast Suns game, only to find the Chinese Immigration reject his Visa and send him back to Jakarta on an 8 hour flight. 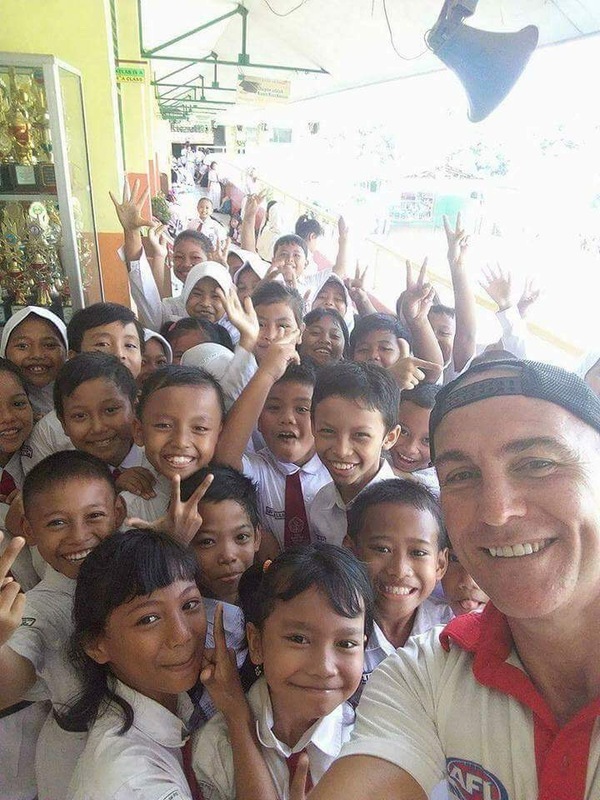 Barry’s volunteering role as the AFL Indonesia Development Director sees him going out to schools and orphanages on a daily basis and developing the local’s passion for Indofooty. 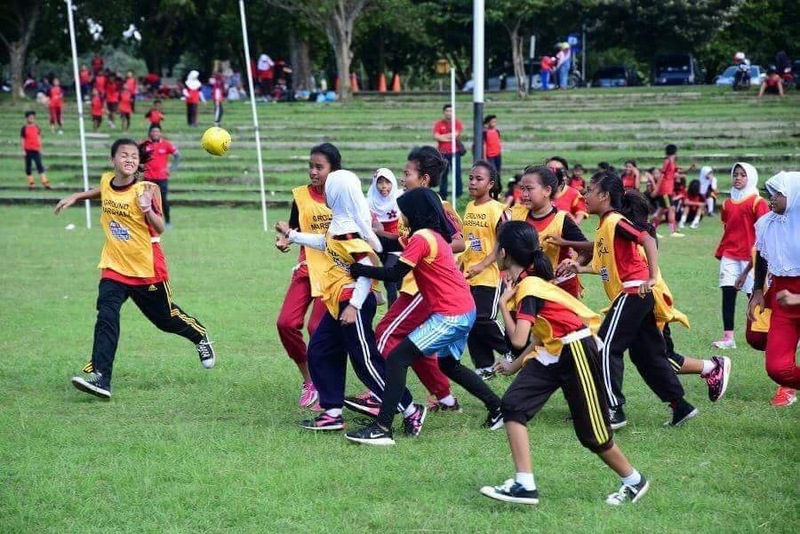 ‘Indofooty’ at its referred to by the locals has replaced the well-known ‘Auskick’, albeit Auskick is still facilitated to expat children, but Indofooty also encapsulates junior high schools students as well. 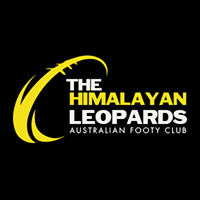 After going out to 25 schools last year and preaching the AFL gospel, Barry has taken the development and growth of the sport to another level by developing junior competitions on Saturdays that lead into the senior competition later in the day. 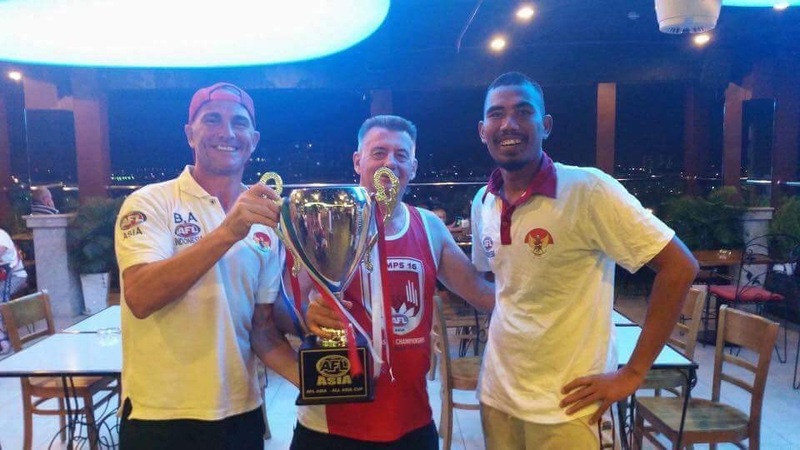 “The senior competition which starts from 3:30pm onwards sees the Jakarta Bintangs and Indonesia Garudas players mixed together and split into 3 teams – The Dingoes, Tigers and Giants and they player a round robin series as well” A dedicated Barry said. 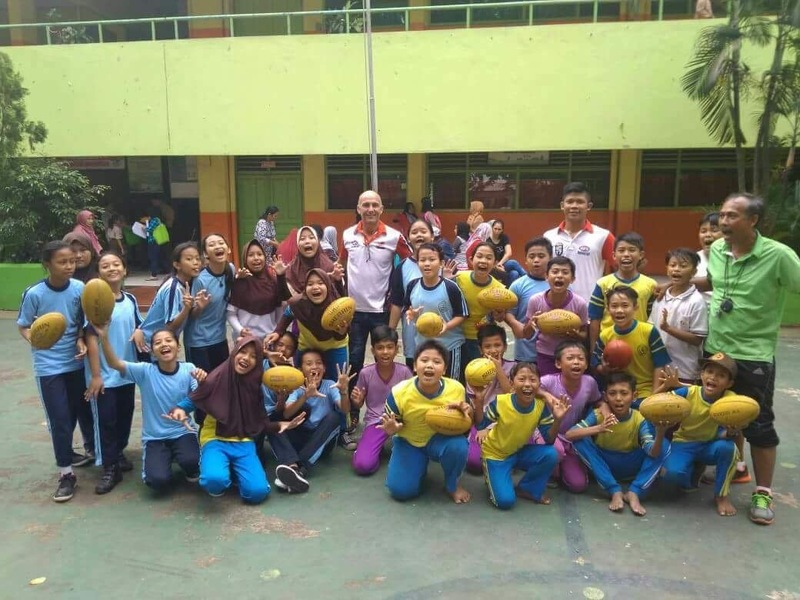 The success of Barry’s role is a direct result of his investment in his AFL Indonesia development coaches, whereby he is mentoring and empowering his AFL Indonesia development coaches and sports teachers to take the ownership of running the competitions and the Indofooty Clinics, so once Barry and his wife complete their volunteering role the AFL Indonesia Junior Development programs will be adequately organised by locals. 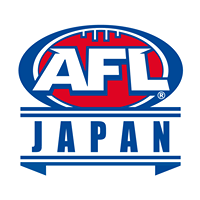 AFL Asia recently appointed Barry as it’s Auskick & Junior Development Officer, which will see Barry used in a consultative and supporting role and a resource for other AFL Asia clubs and/or leagues to develop junior development within their country. In an ideal world, it would be excellent to see Barry travelling around Asia assisting and developing junior development in a holistic manner, but unfortunately money doesn’t grow on trees. 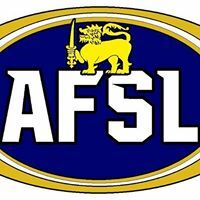 Please feel free to touch base with Barry at barryanderson400@gmail.com as he’s more than willing to assist and support you and your club and/or league moving forward.